Ohk so being a yellow bone is like a must to become proper BAE in South Africa apparently. It’s crazy to see what lengths people would go to just to appear lighter or have a lighter skin and be able to claim the title of being a yellow bone. Is skin bleaching really the only solution to making women feel beautiful and comfortable in their own skins? So which side of the line do you stand? Are for skin bleaching or against it? Who ever decided to come out and claim that darker skinned women are not beautiful has really ruined society. This is not only amongst the black society. 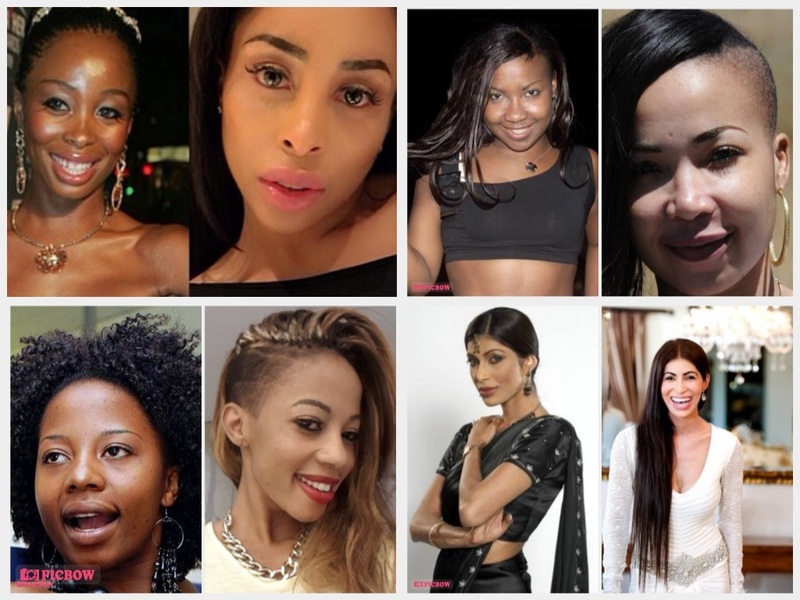 The biggest skin bleaching Faux Pas in South Africa was in 2011,when former kwaito star Mshoza, real name Nomasonto Mnisi, announced that she had begun skin bleaching treatments. Mshoza admitted to being unhappy with that fact that she has a darker skin and thought she could be similar to Micheal Jackson. Her unhappiness lead her to lightening her skin with a series of pills and cream treatments. 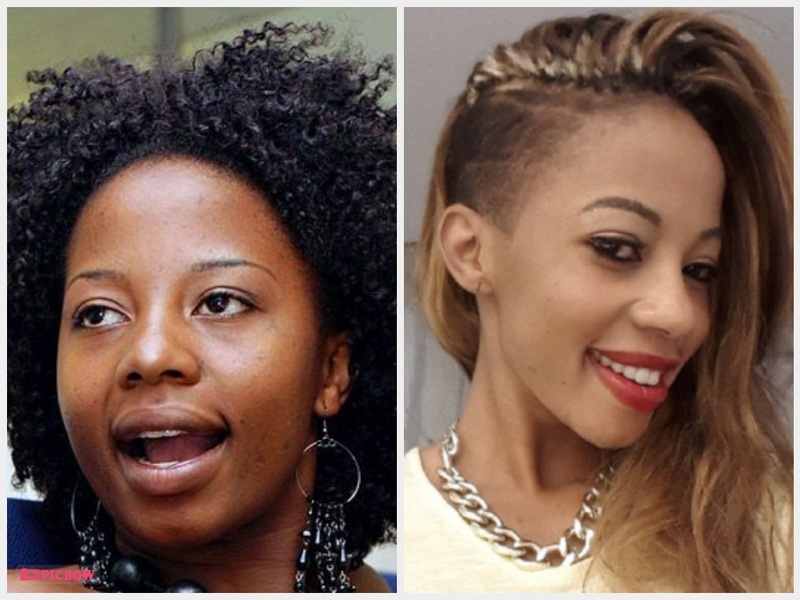 If she’s not in the papers enough, Kelly Khumalo has also made headlines for apparently bleaching her skin and becoming a few shades lighter than her normal complexion. It is said that Kelly has been using a cream called Carolight to become a few shades lighter for lord knows what. Drum magazine reported that Kelly and Her sister, Zandi, were allegedly buying the lightening lotion from street vendors. One then sits back and asks themselves, what are these celebrities trying to teach the kids that look up to them? That one should not be comfortable in their own skin and should look to getting a lighter complexion to be able to flourish in the industry? 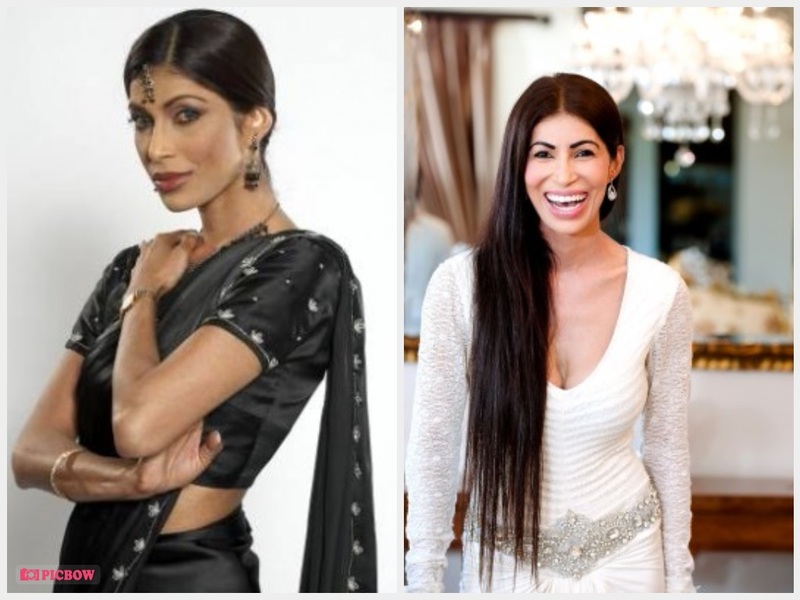 Khanyi Mbau is no stranger to talk about her lightened complexion and she certainly ain't shy to admit that she's an advocate of using products to help her look. 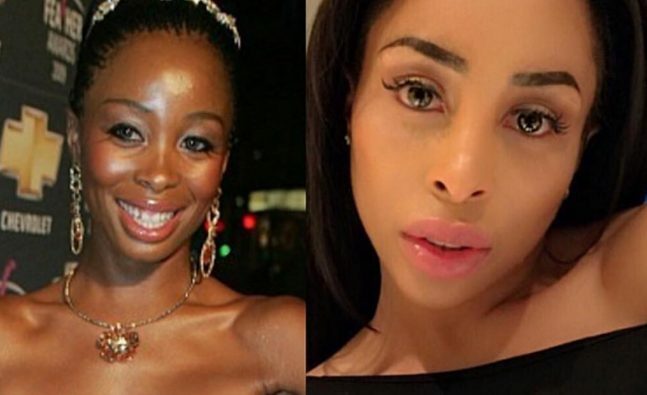 Speaking to fans on video-sharing site Voov recently, Khanyi explained what the difference between bleaching lightening (as she understands it). "People that bleach their skin have brown spots. And their skin tends to go orange. People who (are) lightening their skins using gallons and overdose on (skin whitening products) glutathione, have skin like mine. It tends to go pinkish. Lightish. Close to an albino colour. It's not supposed to go an albino colour, but mine does because I tend to overdo everything in life."